A customs broker is an important piece of the China importing process. 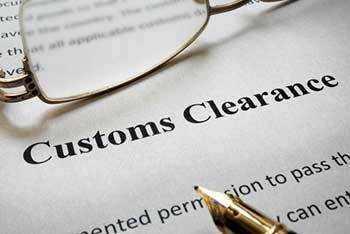 A customs broker is an independent agent who is licensed to clear shipments at the Customs office of the port where your shipment lands (eg., Los Angeles or Chicago). Today, making the ISF entry on time is probably one of the most critical functions a broker performs. If they don’t move quick enough then the repercussions would be costly. You would think this is a simple thing and most customs brokers would be on the ball, but this isn’t always the case. Recently I had a customer who was a new importer who chose a large broker with nationwide offices. The process he had to endure just to get set up for what should be a simple process took too long; more than a week. Most alarmingly, when I emailed the ISF data to this broker for them to file, no one was responding. I had to call them and then was told they couldn’t find this customer’s account information in their system. The best China customs broker for you will be responsive, quick, and accurate. I had one customs broker a couple of weeks ago who had filed the ISF entry within one hour after I emailed the ISF data. On the negative side, we had another customs broker who not long ago misfiled the ISF entry, had it rejected, and was almost late in filing it. It could have been an expensive mess for the importer. The moral of the story is, be careful who you choose. We’ve worked with customs brokers all over the U.S. and can refer you to one if needed. In 2012, we developed a partnership with a customs broker agency with a nationwide network. This gives us the ability to provide you with a quote for all customs duty, port and other fees; a complete, door to door price to the final shipping destination. Ready to get started? Contact us now for a free consultation to discuss your needs.